Stephen Schork is a highly acclaimed speaker and is widely recognized for his ability to integrate a vast array of information into a dynamic and succinct market view. Through a multi-disciplinary approach to trading and idea generation, Stephen blends these distinct disciplines to present a unique approach to market intelligence, with a focus on providing operative trading and hedging strategies. 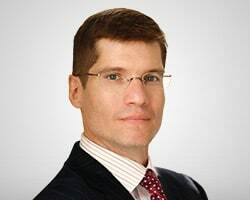 Stephen Schork is the editor of The Schork Report, the energy industry's leading daily research note providing objective analysis of supply and demand economics, with special emphasis on the impact of geopolitical events on price volatility.